Get the Multi Pair RSI Indicator! 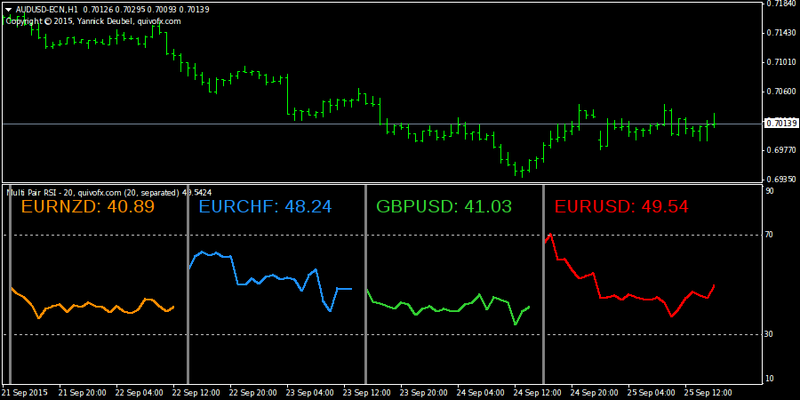 The Multi Pair RSi indicator shows you up to 8 different RSI from the pairs of your choise. 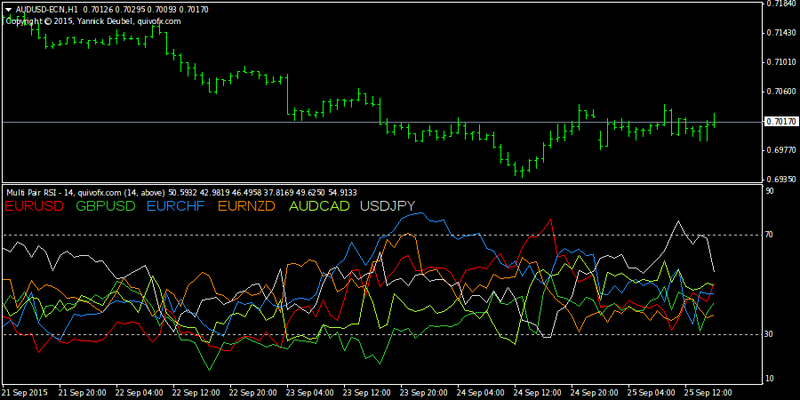 You can choose whether you want to draw all RSI in one window or in different windows. 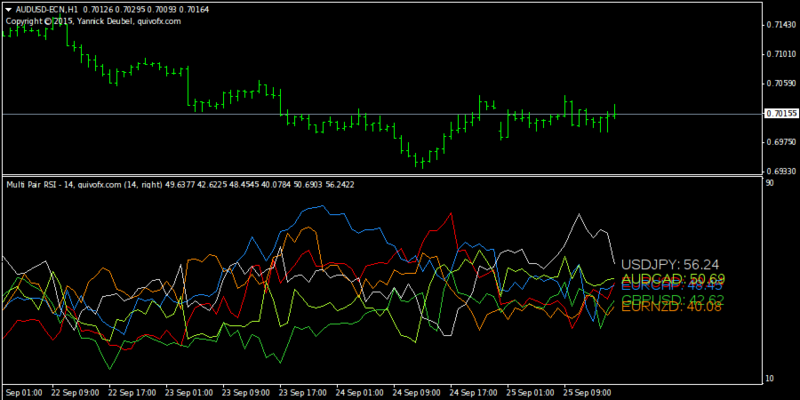 You can install the Multi Pair RSI Indicator on limitless demo and live accounts. The license of every Metatrader Indicator you download is time limited, but you can re-download newer versions any time in your purchase history. 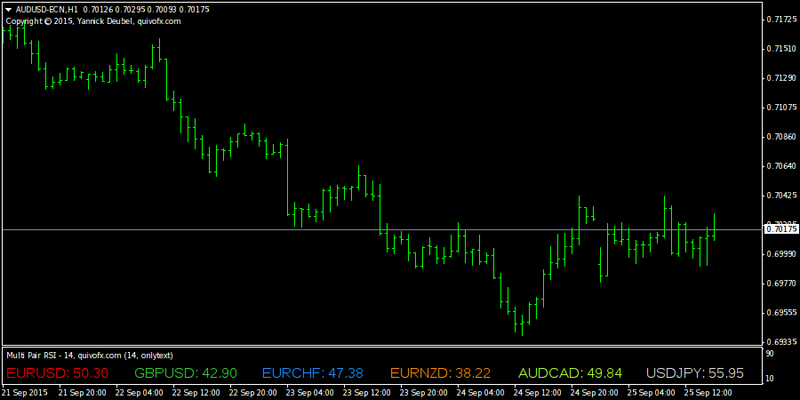 Looking for more Free Forex Indicators? 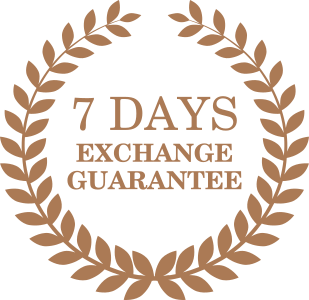 Need a good Forex Broker for your trading tools? Unfortunately it it not possible to test a demo version of this indicator. Thank you very much! All set and done, now. I’ve purchased your Multi pair RSI a short while ago and am very pleased with it. However, now I get the message that it will expire at the end of this month, and that I am forced to buy a new version. Since when should one pay over and over again for the same product? That was not in your advertisement. Or could it be that I am mistaken? You only have to download the new version in your account. What is the best setting of the EA for 1 hour timeframe? All Expert Advisors (Forex Trading Robots / Automated Trading Strategies), Forex Indicators and Scripts for Metatrader 4&5 (MT4/MT5) are programmed and maintained by quivofx.